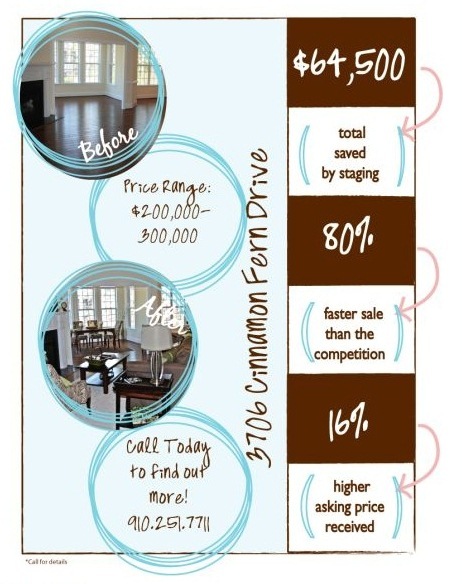 Show off your Home Staging Statistics! 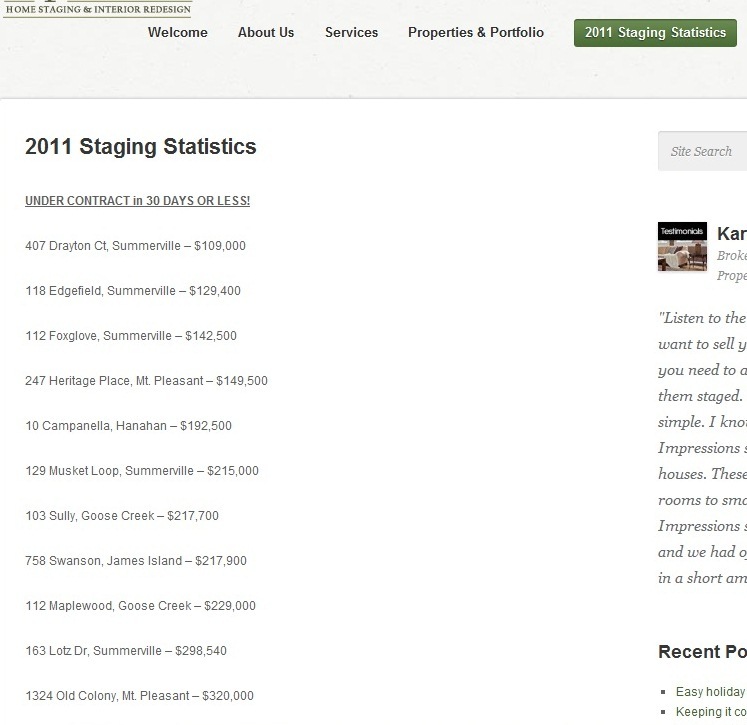 I just read David Peterson’s home staging blog, Using 2011 To Attract More Clients in 2012. In it, he showed stunning homes that SynergyStaging had staged in 2011. This is clearly a feast-for-the-eyes marketing video for 2012. This is a fantastic idea, especially because our jobs is so visual. I wanted to suggest other possible way to show off your 2011 statistics to help your 2012 business. Providing a list of home, complete with address and price point, allows potential clients to verify your numbers. Additionally, if you’ve got a really long list, as First Impressions Home Staging & Interior ReDesign does, then it looks pretty impressive. It looks like we know what we are doing and we might just be experts in getting your home sold. Jessica Pirone with Just Perfect! Home Staging & more offers another clever way. This one is strikingly visual. She provides this for nearly every property that they stage. Sometimes the numbers are more dramatic, sometimes less. In either case, it’s pretty clear in branding, marketing and putting the value of home staging out there for the client to digest. So, what are you doing to show off your home staging statistics?